These ideas will make you want a 3D printer if you don’t already have one. 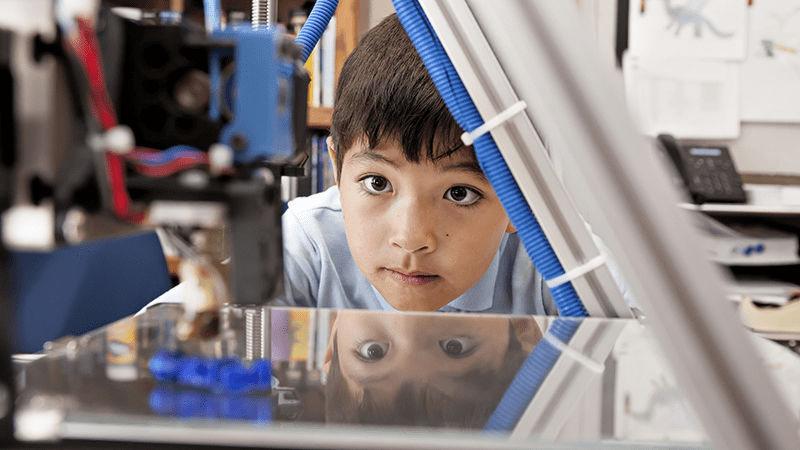 Want to know more about how you can use a 3D printer in your classroom? The Dremel DigiLab 3D40 Education Bundle is a full-classroom solution that includes professional development, curriculum-based lesson plans and more! Learn more about the Dremel DigiLab 3D40 EDU Bundle here. We completely understand: 3D printing can sound intimidating. But it can open so many doors for students, especially in math and science. Fear not, brave teacher. 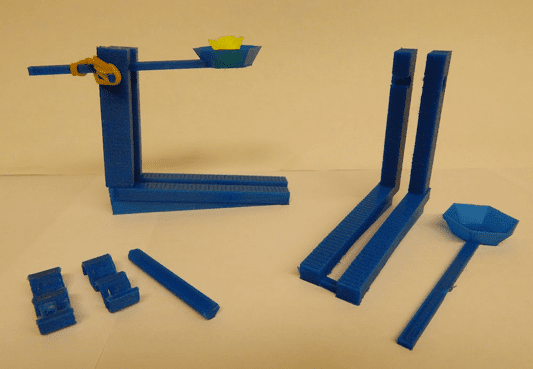 We’ve got just what you need to move your 3D-printing goals forward—whether your 3D printer has a cozy little spot in your supply closet, silently collecting dust, or you and your students have jumped feet-first into 3D-printing projects. 1. Design custom artwork frames. This project is perfect for elementary students. They’ll practice their geometry skills as well as calculate measurements, weights and balance as they design a modular frame for a specific piece of art. As an extension, challenge students to create decorations that can snap on and off of the frame for a fully customized display. Here’s a fun idea! Brock Perkins, a fifth grade teacher at Winchester Thurston School in Pennsylvania, teaches an extensive cross-curricular unit on the Middle Ages. Students learn about the lives of the peasants and the nobility, castle structure and design, and they study siege machines like catapults and battering rams. 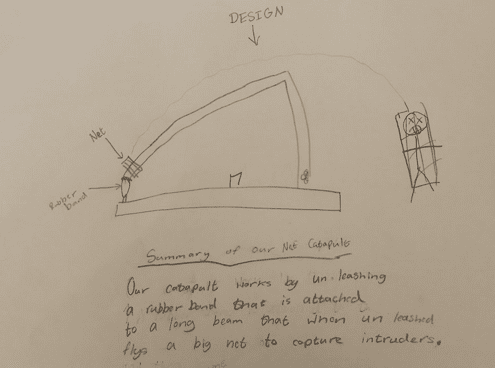 He and the school’s instructional technology specialist, Katie Weber, introduced the 3D-printing element of the project by printing out several different designs of catapults (found on www.thingiverse.com) and predicting and then testing the ability of these machines to launch projectiles. They then pair students up to brainstorm a design of their own to print on their 3D printer. “Their task is to create an ‘anti-siege’ machine to protect their castles from invaders. They sketch their ideas and then work in the online CAD program Tinkercad to design their machines,” says Weber. 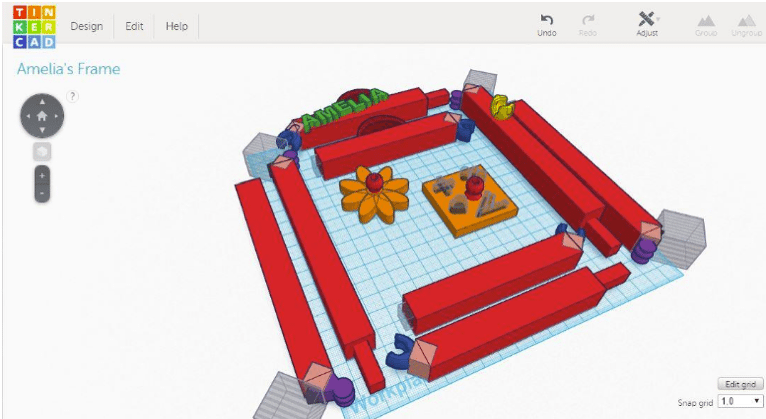 “Luckily, our middle school students have extensive experience in Tinkercad, so they can help our fifth grade students with their creations.” After much trial and error (including resizing and flipping designs), the final products often look amazingly like the original brainstorming sketches. 3. Give an open-ended challenge. What if kids could create something that helped solve a real-world problem? A 10-year-old in Texas used a 3D printer to create a prototype for his idea that could prevent deaths when children or pets are accidentally left in vehicles on hot days. His design is in progress and may even get a patent. Show this clip to your students to inspire them to design their own solutions to real-world problems. 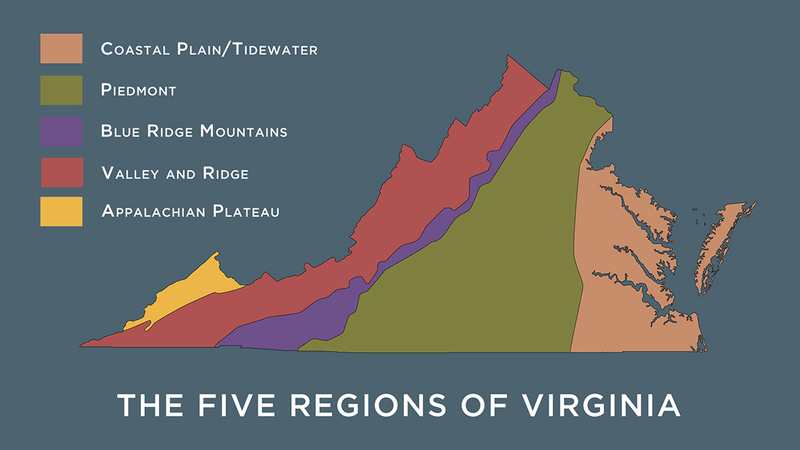 Teacher Chrissie Mahl helped her students use 3D printers at her school to create physical maps of Virginia to show the five regions of the state. 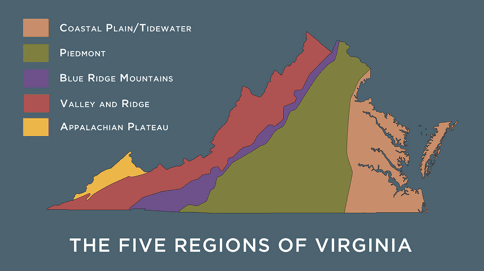 Their models illustrate the coastal plains, piedmont, the Blue Ridge Mountains in the western part of the state, the valley and ridge, and the Appalachian plateau. A great way to bring geography into the classroom! 5. Explore geometry with 3D models. 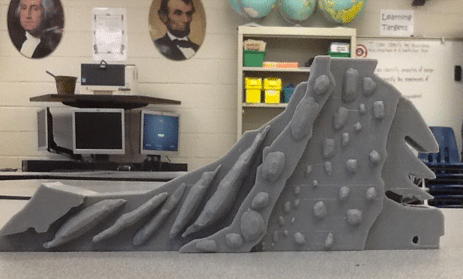 The idea of creating 3D models with your students may seem like an unachievable goal. But one third grade class at Highcastle Public School in Toronto, Ontario, did just that. Here, they break down the steps in a math lesson that resulted in the students designing and printing their own 3-dimensional castles—for real! 6. Design and print bugs. 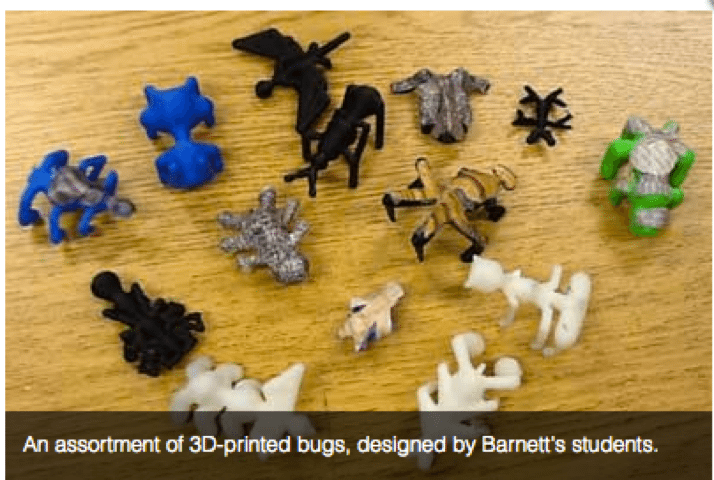 Clark Barnett, a teacher and education technology consultant for the Conejo Valley Unified School District in Thousand Oaks, California, found that inviting students to design and print their own bugs was a terrific way to engage them in ecosystems, entomology and engineering all at the same time. “Even though we were studying insects, there is a lot of engineering involved. For example, the legs have to be designed to support the weight of the bug’s body. 3D printing makes it easy to bring in engineering techniques and see how things work,” Barnett said. You can learn more about the process here. 7. Teach fractions and area. Teacher Jason Padilla from PS 39 The Francis J. Murphy Jr. School truly believes in using 3D printing to bring learning to life. His students use a 3D printer to create math manipulatives to help study fractions and explore the concept of area. 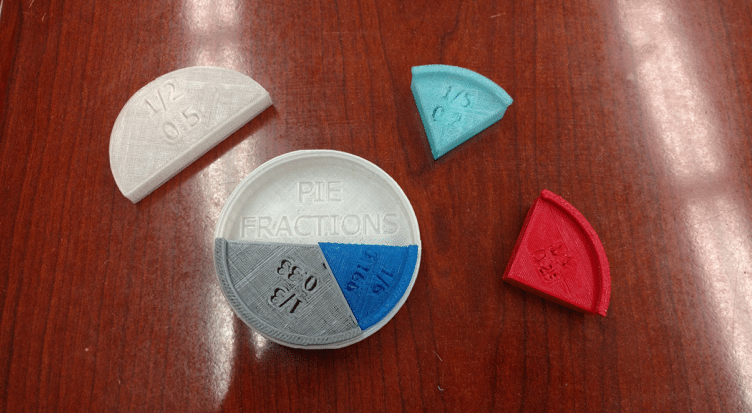 His students have also printed out cubes to use to create area models of various sizes, and downloaded a Fraction Pie that helps them visualize parts of a fraction as it relates to a whole, determine which fractional unit is larger, and how fractions and decimals are related. Credit: Easy as Pie Fractions by ThreeDeePrint. In his role as a K–12 technology facilitator for the Union City, New Jersey, Board of Education, Marcos Navas enjoys finding new ways to engage students. 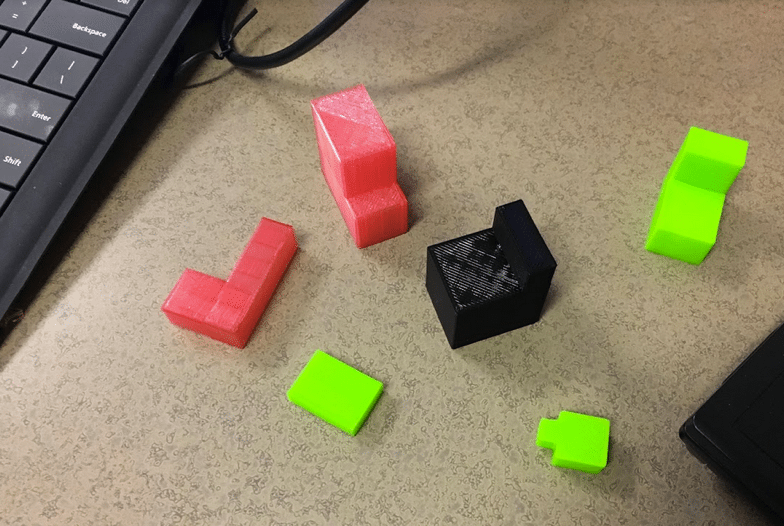 Using 3D printers, he helps high school algebra students print 3D representations of equations so they can visualize and conceptualize math problems with 3-dimentional objects. Learn more about this 3D equation project here. Instructional technologist Kelly Hong from the Hutto, Texas, Independent School District helped fifth graders learn how to find the volume of irregular 3D figures in math using a 3D printer. First, the students used Tinkercad to build irregular figures. They then printed them and calculated the volume. A great idea for fostering both math and creativity! The link for learning more about printing 3D equations doesn’t work. Could that be fixed or sent to me?